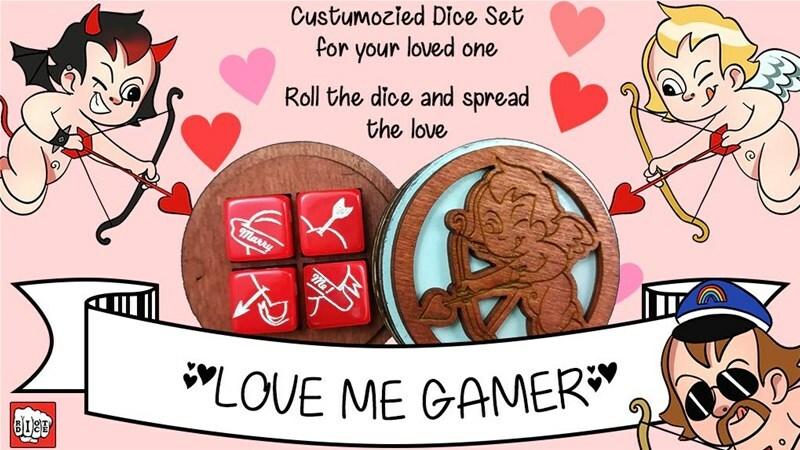 "Love me Gamer" is our little project, to make your Valentine's Day a bit more nerdy, just like we like it! Customized dices with your name and your lover's name, both written in the most iconic symbol of this lovely day. And if you have a darker soul, you can choose the goth one, so you can be romantic, while staying dark and bloody. And of course we didn't forget our LGBTQ+ friends, with the "YMCA" dices, because love is love, no matter what. 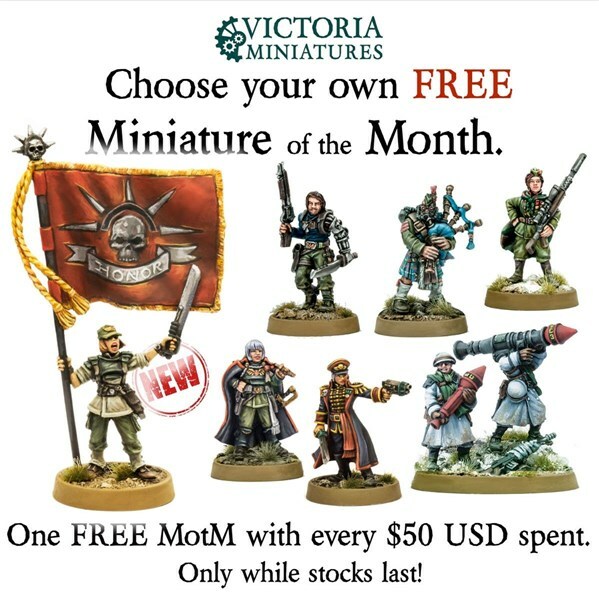 Please welcome our seventh free Miniature of the Month at Victoria Miniatures. 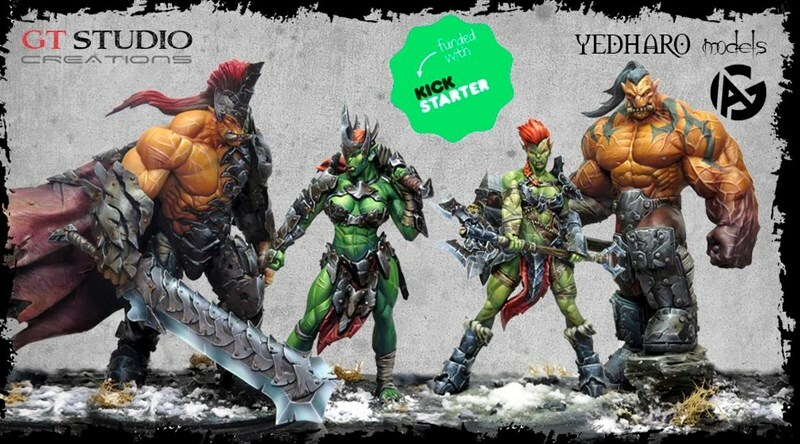 This February we are adding the Female Arcadian Color Sgt, sculpted by Victoria Lamb. She joins a growing collection of special miniatures, each one can be added to your shopping cart free for every $50 you spend. 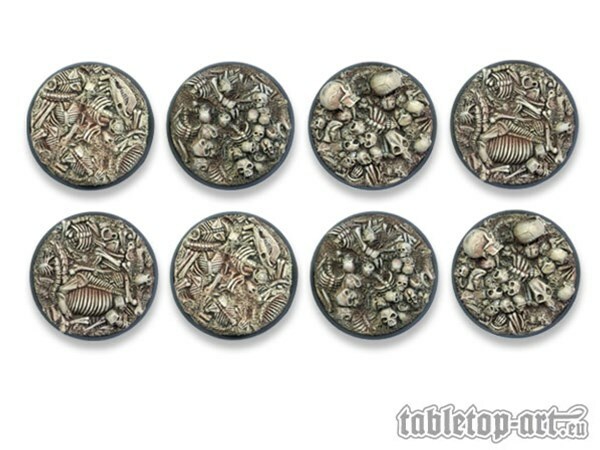 They can also be purchased as stand alone minis here. The new Arcadian Color Sgt goes great with Commander Creedence and the the men and women of the Arcadian Guard. Our collection of 11 Animal spirits show the animal represented by two colours swirling and encased in a translucent set of polyhedral dice, with the highest number on each dice showing the animal Icon. The d4 icon differs from the rest and is a another icon relating to the animal spirit. 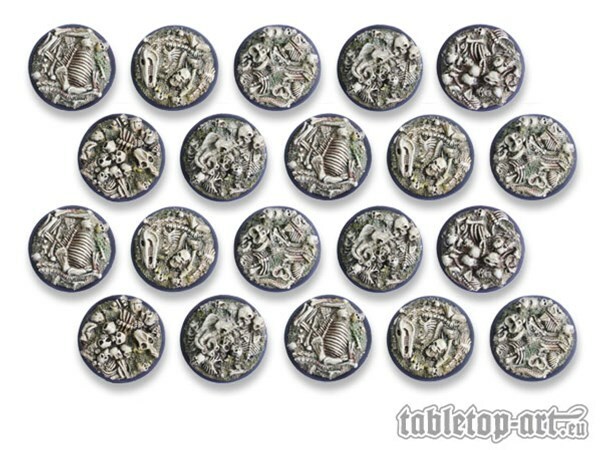 ALL PEARL DICE SETS BUY 2 GET 1 FREE! Plus Spend $30 get a Rainbow Glitter dice set for FREE. 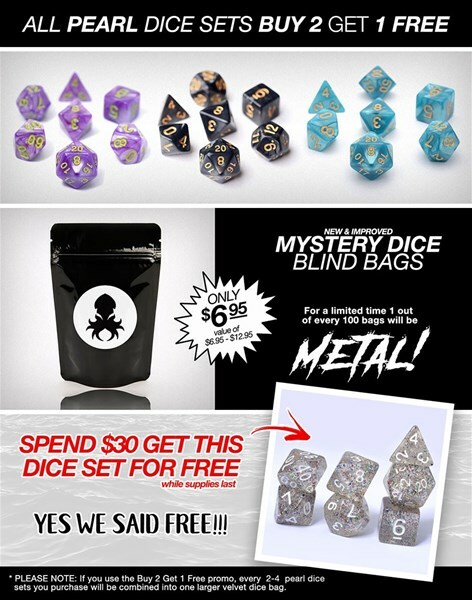 But wait... there is more, for a limited time 1 out of every 100 mystery dice bags will be a metal dice set. 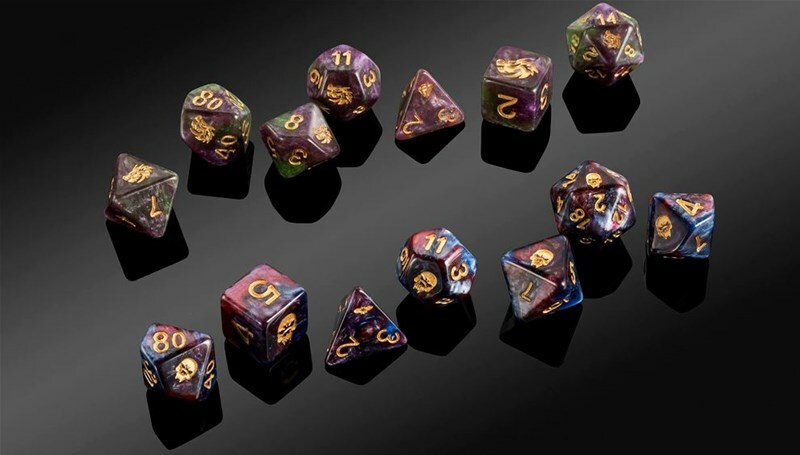 Our next project will be Elder Dice: The Colors Out of Space! 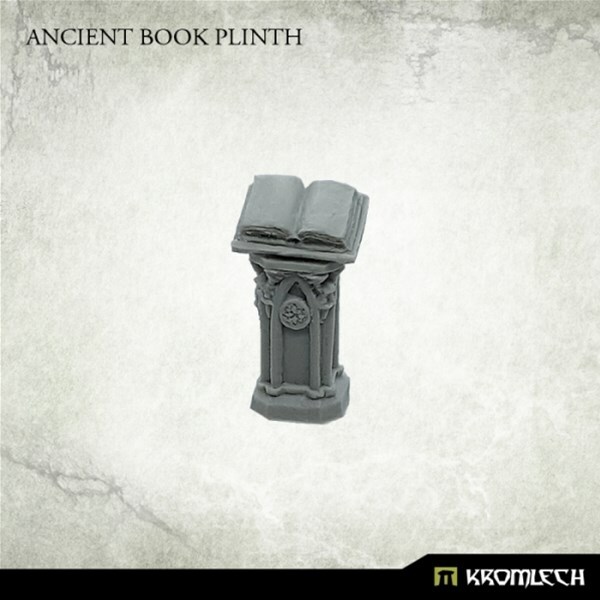 It will be coming to Kickstarter in Spring 2019. We have three new symbols: The Eye of Chaos, The Star of Azathoth, and the Seal of Yog-Sothoth. 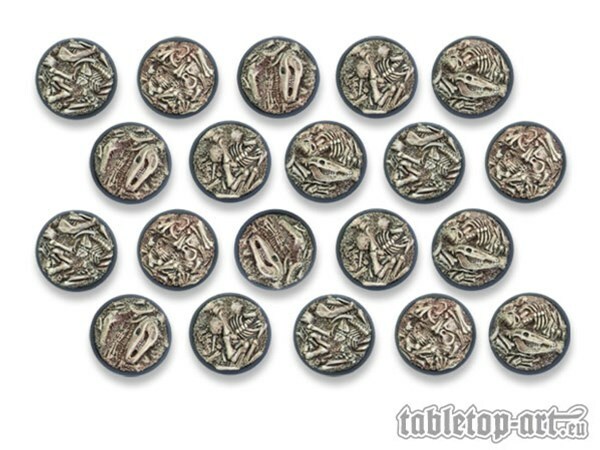 They are beautiful dice! And yes, we are giving sets away! 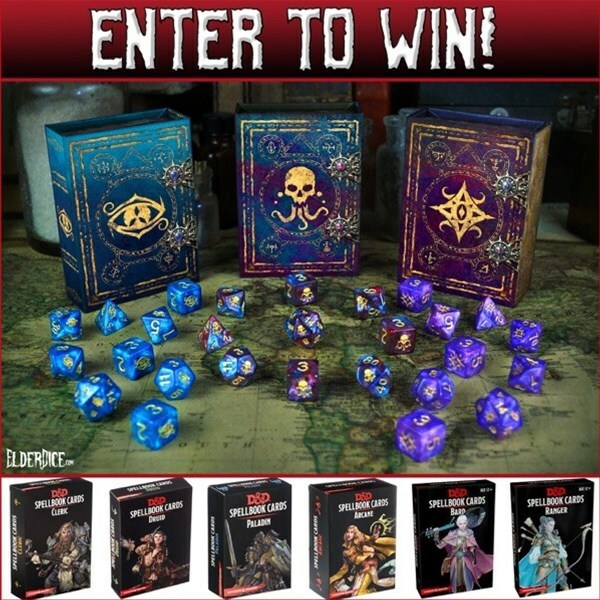 01 February 2019 - We're pleased to announce our new Buy One Give One program that donates a set of dice to a High School Dungeons and Dragons/Roleplaying/Tabletop Club to help promote growth and membership in those clubs. 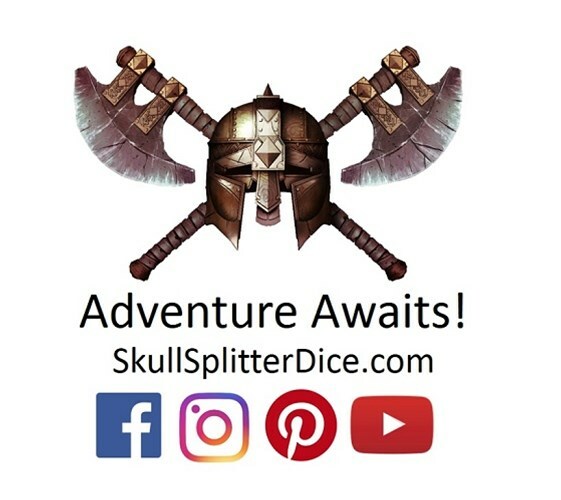 Since 2015 we’ve donated thousands of sets of dice but wanted to do more; we know we have the best customers in the world and knew they’d be willing to help new players learn this amazing game. We decided to take a little inspiration from Penny Arcade's Child's Play and Worldbuilders and focus on what we hold dear; helping kids get the life skills they'll need to be successful.